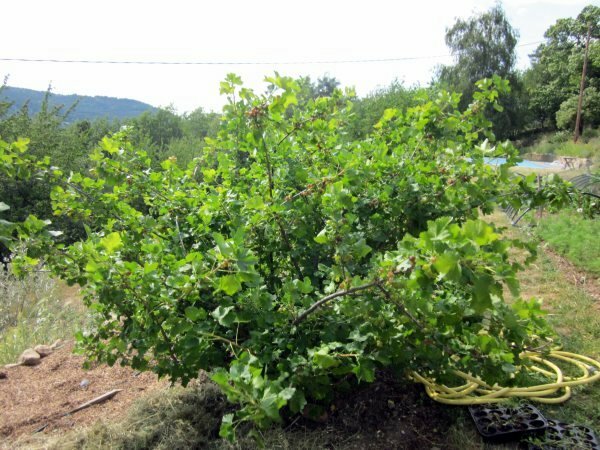 You shouldn’t have any jostaberry bushes in your soft fruit orchard if you aren’t willing to spend Hours Each Day picking fruit. Boy they are vigorous plants. And the geneticist in the family reminded me that this was typical of hybrid vigour. (I had to check. Also called heterosis; the increased size, strength, etc, of a hybrid as compared to either of its parents.) 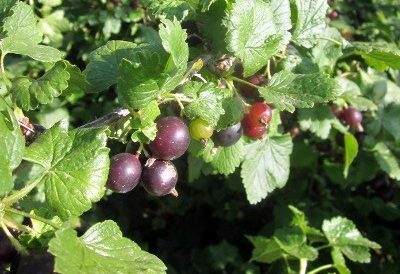 So with blackcurrants and gooseberries as the parents German plant breeders have created a monster. The most delicious monster there is. My freezer is groaning with the fruit. And that reminds me. I need to put another batch in the second freezer I had to turn on just to accommodate the volume of fruit. You have to love a glut. I’m going to be daring here and not give you an explicit, detailed recipe. By July in my jam producing season I can make this stuff with barely a glance at my notes or books or recipes. Jostaberries are utterly forgiving. All you need to do is remember the simple formula. 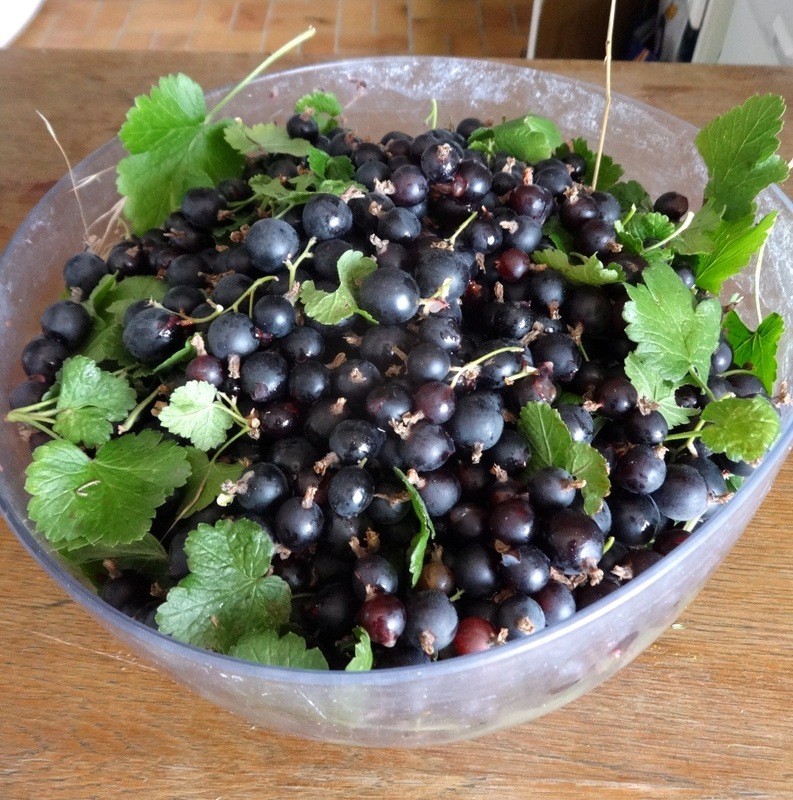 One kilogramme of fruit, one kilogramme of sugar. One lemon, squeezed. That’s it. I tend to pick over the jostaberries late morning, lob them in my preserving pan, add the sugar. Stir and forget. But cover with a lid. By the afternoon things will have magically combined. I squeeze over the lemon juice. And then once the jars, ladle, funnel and lids are sterilizing I will make a batch. I cook for about twenty minutes. But it can take thirty. 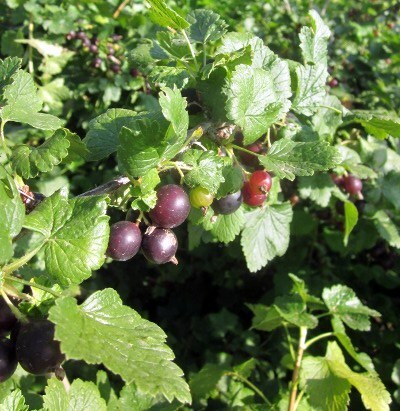 The jostaberries are high in pectin, so it won’t take too long to convert the delicious glut. 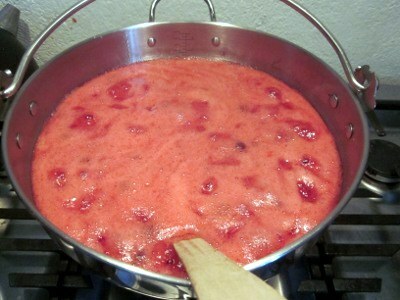 I never skim the jam as it’s cooking. Why waste all that delicious product? If you are really fussed about it. Add a small teaspoon of butter at the end, stir well and the froth will disappear. Or like me, you can just stir and stir once you have cooked the jam and are letting it rest five minutes before you pour it into jars. No waste there. I do have friends who reduce the quantity of sugar to their fruit. And that’s not a bad thing. But sugar is the preserving agent here. And when I open my jam, I want it to last in the fridge for more than a week. 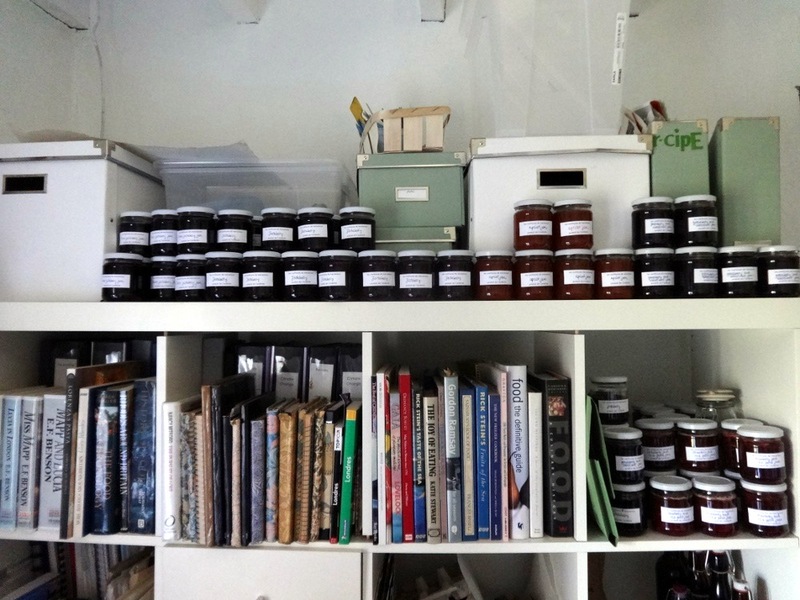 I do so hate seeing jam go mouldy quickly. Use my method and the jam will be perfectly preserved.